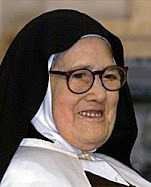 Obituary: Marie-Paule Giguere (Mother Paul-Marie), Foundress of the Army of Mary (L'Armée de Marie), the Community of the Sons and Daughters of Mary & three other religious Associations, passes from this life at age 93. April 25, 2015: Community of the Sons & Daughters of Mary, Spiri-Maria Chapel, Lac Etchemin, Quebec. 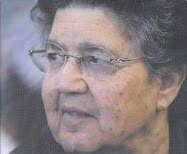 Saturday April 25, 2015 marked the passing at age 93 of a well known alleged mystic and visionary Marie-Paule Giguere, known as Mother Paul-Marie to the members of the religious Communites of which she founded. Marie-Paule Giguere was born in Lac-Etchemin, Quebec on September 14, 1921, the first girl of ten children born to Ernest and Laura (Begin) Giguere, a devout Catholic family. 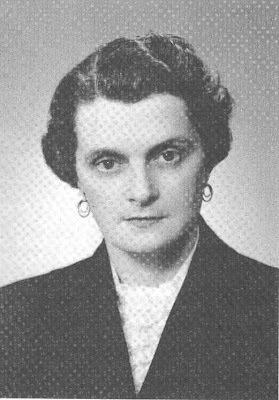 She married Geroges Cliche in 1944, and together they had five children, however she eventually separated from her husband in 1957. After the separation from her husband, she was purportedly inspired by heaven to successively found five religious Associations or "Works", beginning with the Army of Mary (August 28, 1971) (known as L'Armée de Marie in French) and later the Community of the Sons and Daughters of Mary which consists of a Community of religious priests, deacons and professed religious sisters and brothers, and also a lay branch called the Family of the Sons & Daughters of Mary, along with two other Associations--the Oblate Patriots and the Marialys Institute. The combined membership of these five Associations numbers well into the thousands throughout the world, the majority of which are centered in Lac Etchemin, Quebec at the Communities 'Spiri-Maria Chapel and retreat center'. In 1975, three years after the Army of Mary was founded, Archbishop Maurice Roy of Québec City granted the Army of Mary official Church status as a "Pious Association", as at that time the movement was in good standing. 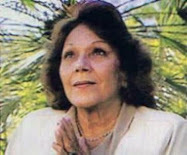 As the years progressed however, the Archdiocese began to have grave concerns about Marie-Paule's alleged messages from heaven, many of which were revealed in the volumes of her autobiography entitled "VIE D'AMOUR" (or "Life of Love" in English), the first volume of which came out in May of 1979. 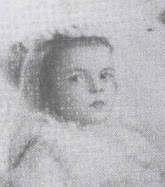 For the Catholic church, one of the first "very troubling" revelations from Marie-Paule came through the Army of Mary's newspaper, which at that time was titled "Marie" (nowadays it is titled "Le Royaume" or "The Kingdom" in English) wherein Marie-Paul herself wrote a special article entitled "I am the Lady of All Peoples" --an article which according to Marie-Paule was "ordered by On-High" and in which Marie-Paule declares herself to be "The Lady of All Peoples". "Accept; the fate of humanity hinges upon your 'fiat'. These two examples were only the beginning of many astounding revelations over the years concerning the person of Marie-Paule; revelations that would put her, the Army of Mary and the religious and lay Communities that she founded at odds with the Catholic Church, eventually leading up to a formal excommunication by the Vatican. On May 4, 1987, Cardinal Louis-Albert Vachon, who was at the time the Archbishop of Québec, formally revoked the decree declaring the Army of Mary as a Pious Association. This was done after a committee of theologians examined the writings of Marie-Paule and other members of the Army of Mary and determined that they contained grave doctrinal errors. In addition, the Cardinal sanctioned the group from holding its days or prayer or any other meetings in any of the Catholic churches within the diocese. 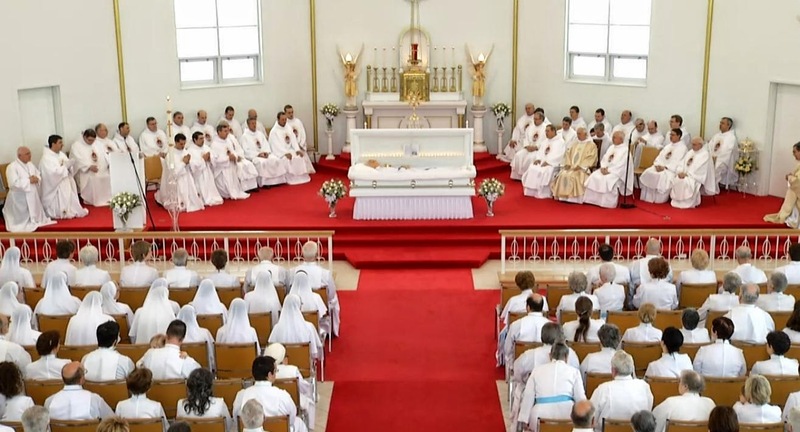 Thus unable to hold days of prayer within the Quebec churches, Mother Paul-Marie was allegedly inspired by heaven to build a chapel in Lac Etchemin, Quebec, known as "The Eucharistic and Marian Center Spiri-Maria" which was completed in the year 2000. 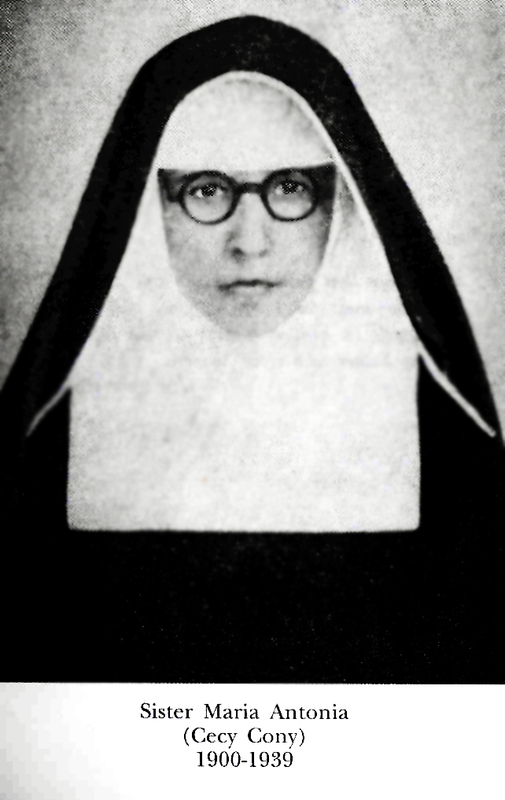 As the years progressed, an increasing number of doctrinal beliefs primarily concerning the person and alleged mission of Marie-Paule (Mother Paul-Marie), which were based on her alleged heavenly locutions as found in her autobiography "VIE D'AMOUR" (or "Life of Love" in English) and revealed in the Army of Mary's newspaper "Le Royaume", caused much concern in both the Quebec archdiocese, and also in the Vatican, as the additional beliefs --especially those concerning the person and alleged mission of Marie-Paule as the "Lady of all Peoples" and the "Coredemptrix" --were not seen as being in conformity with Catholic theology and doctrine. Because of this, the Canadian Conference of Catholic Bishops (CCCB) issued a Doctrinal Note on August 15, 2001 warning the Catholic faithful of the doctrinal errors that were being promulgated by the Army of Mary and its affiliated branches. Four years after the Canadian Bishops Doctrinal Note came a Pastoral Letter by the Quebec Cardinal Marc Ouellet on April 4, 2005, and also a Pastoral letter to the Sons of Mary priests from the Pontifical Commissioner, Archbishop Prendergast on April 4, 2005, followed by a letter to Mother Paul-Marie from the Pontifical Commissioner, Archbishop Prendergast on June 4, 2005 and two years later on March 26, 2007 , Cardinal Ouellet issued a "Declaration on the Army of Mary" to name just a few of the many public and private attempts by the Catholic church to guide the Army of Mary and its associated branches to reject the new revelations concerning Mother Paule-Marie that were being promulgated within the Community, and to accept only the explicit doctrines of the Catholic church. 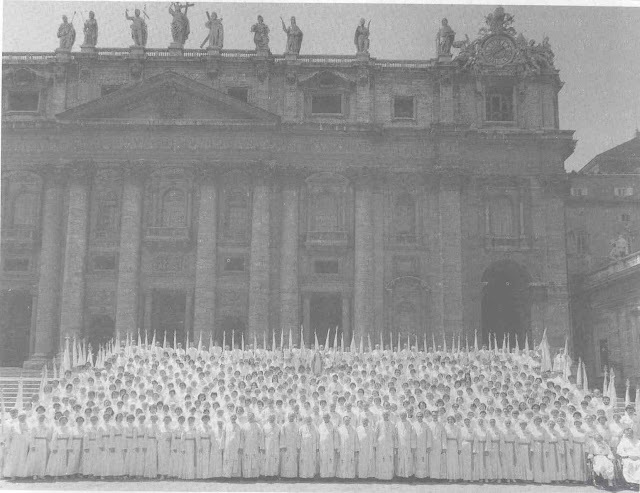 The culmination of events leading up to the official excommunication from the Catholic church was the attempted ordination of six men to the priesthood at the Spiri-Maria chapel on June 1, 2007. 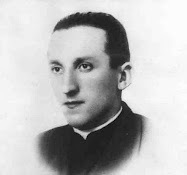 The attempted ordinations, performed by Father Pierre Mastropietro, a priest within the Community of the Sons and Daughters of Mary, was seen in the eyes of the Church as a openly schismatic act, and thus resulted in a formal Declaration of Excommunication from the Vatican , dated July 11, 2007. As the Declaration of Excommunication states, any religious or lay member who fails to renounce their affiliation with the Community are thus formally excommunicated. This official public decree, approved by Pope Benedict XVI and signed by Cardinal William Levada, Prefect of the C.D.F., was publicly announced by the archdiocese of Quebec on September 12, 2007. Therefore due to the excommunication, current active members within the Army of Mary/Community of the Sons and Daughters of Mary, whether they be professed religious or laypersons are officially no longer considered as being in communion with the Catholic church. A decree of excommunication is the severest judgement of the Catholic church against its Members, and is used only in extreme cases as a last effort to lead the errant faithful back into communion with the Church. 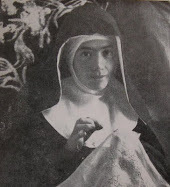 Aside from the grave doctrinal controversies and the separation from the Catholic church, there is nevertheless a significant amount of good that can be said about Marie-Paule Giguere, the Army of Mary, and the Community of the Sons and Daughters of Mary and affiliated branches. 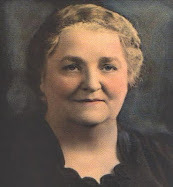 Throughout the early years especially, numerous persons were inspired by the Army of Mary's conservative and traditional Catholic beliefs and practices, and the days of prayer held throughout Canada, the United States, and abroad led many people into (or back into) the practice of the Catholic faith. Also, because Marie-Paule was widely believed to be a visionary and mystic, she received countless letters over the years from various persons throughout the world seeking guidance and spiritual advice, and countless persons were greatly encouraged and helped by her replies. 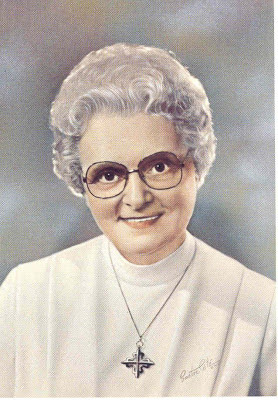 In the 1950's she was the host of a radio program on Catholic spirituality (CKRB, Radio Beauce) and often gave spiritual advice to callers. 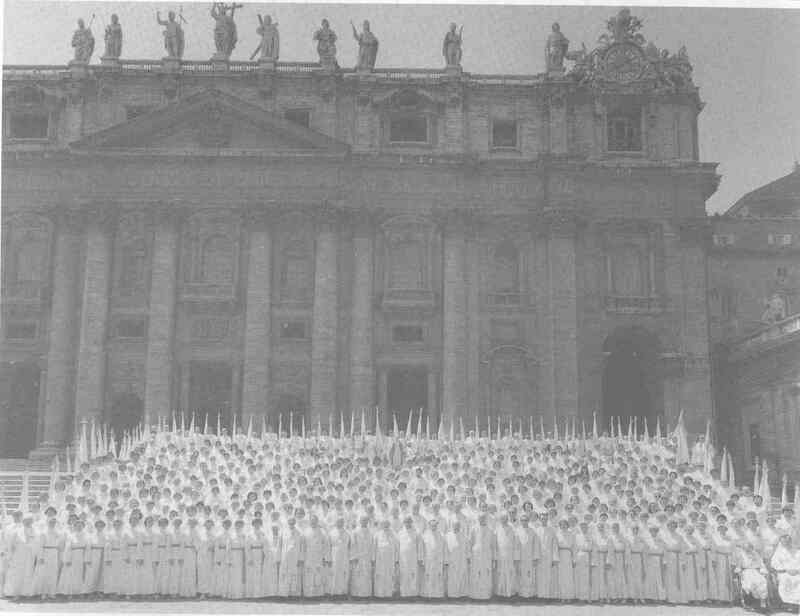 During the Army of Mary's most popular time period (prior to the Canadian Bishops Doctrinal Note in 2001), the group made a number of generous donations amounting in hundreds of thousands of dollars which were given to the Pope/Vatican in support of the Church. There were also numerous monetary collections that were given to charitable organisations during times of need, such as a sizable donation to the Red Cross in 2004 for the Indonesian tsunami relief efforts, to mention just one of many possible examples. Additionally, a number of priests, brothers, religious sisters and laypersons from the Community of the Sons and Daughters of Mary spent a number of years in Jamaica setting up a school and caring for the poor villagers in several communities. 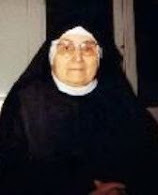 ﻿﻿Marie-Paule Giguere has left behind a large number of persons who were greatly inspired and edified by her example of self sacrifice and of loving one's neighbor out of love for God. For her followers, her passing from this life has great spiritual significance--much more than just the passing of a saint; for her followers it is the earthly passing of the Lady of all Peoples, the Daughter of the Immaculate, the Coredemptrix and the Mother of the Kingdom. Aside from the doctrinal controversies with the Catholic church, she will be remembered as a individual who sincerely sought to love God and others out of love for Him, and like many other persons, this writer feels very blessed to have known her. 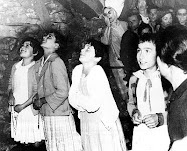 "I see the Spiri-Maria chapel full of people dressed in white. It is my funeral. What joy!" This writer personally attended Marie-Paule's funeral and the Spiri-Maria chapel was in fact completely full of people dressed in white (men wearing white albs, and women wearing the white dresses, as is normally worn for special ceremonies within the Army of Mary). So what she "saw" back on April 25, 2009 did in fact come true, and in fact she passed on the very same date of the vision (April 25). The thing is though, the white albs and dresses are in fact always worn during any of the groups ceremonies, so it really was a self fulfilling and very obvious prediction. For eleven years, the author of this article and host of this website was an active member of the Army of Mary, and was a lay Son of Mary in the Family of the Sons & Daughters of Mary--that is, two of the "Works" founded by Marie-Paule Giguere. I met Marie-Paule many times over the years, and read all of the volumes of her autobiography "Life of Love" and actively participated in the Army of Mary throughout the 11 years. After much soul searching, I left the Army of Mary and its associated branches in June 2007 out of obedience to the Catholic church, due to the schismatic ordinations that occurred in the Communities Spiri-Maria chapel earlier in that month. P.S. I was myself involved with a rather "charismatic", but private movement in the Church, there was alot of pressure for me to "perform" or be more responsive for them, which I never felt able to do. Eventually they ran their course and faded away, leaving many people changed for the better, but somewhat adrift. So I saw many of the dynamics of such faith movements, as you describe, first-hand. Kevin M.
Thanks Kevin for your kind comments. I sincerely appreciate it. 1) She reportedly passed at 5:55PM---this is notable because the number "5" directly pertains to her person and position in relation to the purported "Quinternity" as described in part two of this article. 2) It is reported that a number of years ago Marie-Paule personally told one of her acquiantences--who was an elderly woman in the Group, that when she (Marie-Paule) dies, she will come to get her. This particular woman died at around 4AM the following morning after Marie-Paule's passing, that is around 12 hours afterwards. I leave it to the readers here to discern what--if any--significance these facts bear. My work here is simply to present the facts. I am an active believer and member. We have always been told that we are free to stay and we are free to go. We knew that various events that have taken would cause members to leave. You have chosen to leave. You are free to do so. In your 12 years as a member had you had the opportunity to read the volumes of Life of Love and the various subsequent White Books? The proof that this is God's work exists throughout the volumes. One cannot truly discern, in my humble opinion, the authenticity of the work for their own opinion without having read the volumes. This is such a beautiful work. Thank you for your comments. Well, as far as reading the volumes of "Life of love", as I wrote at the bottom of the article above, I have read ALL of the volumes (except for volumes 4 and 6 which, as you know, are not considered part of the main body of the series) and some of the volumes I have read numerous times. 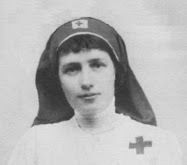 Additionally, I have read the vast majority of the "Le Royaume" newspapers dating back to the 1980s, along with the vast majority of Marie-Paule's booklets, along with Sr. Jeanne D'Arc's booklets, the book containing all of the Messages of the Lady of all Peoples as given to Ida Peerdeman, and some of Mark Bosquarts writings, to name just a few. And as for the "Le Royaumes'", I actually requested and received back issues going back to the 1980's, and I read them all. In short, I have always been a bit of a "book-worm" and I fervently enjoy reading subjects that interest me, and so during the 11 years that I was an active member in the Community, I can honestly state that I read practically everything I could get my hands on pertaining to the Work. And to this day I occasionally read some of the articles in the "Le Royaume". So, the point here is that in comparison to other lay members currently in the Community, I have probably read and studied Mother Paul-Marie and the writings pertaining to the Community of the Lady of All Peoples far more extensively than perhaps the majority of the lay people currently in the Community itself, and I say this not out of any pride whatsoever on my part, but simply as a statement of fact. 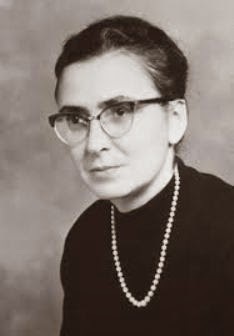 I intensively studied the writings of Mother Paul-Marie and the Community back when I was a member, because I was a member, and now I study the writings not only because I maintain this "Mystics of the church" website, but also because I am intensely interested in all things pertaining to purported mystics. Thank you once again for your comments and I hope this answers your question. Having read (and still doing it) more than 20 life's of saints, one thing is very clear, and it seems to be the common point in all the catholic saints (which are the ones following the true Saint: God himself): there is no saintity where there is no humility, nor obedience. Someone saying: "Accept; the fate of humanity hinges upon your 'fiat", does not seem very full of humility. The Lord does not dwell where pride is abundant!!! Yet, i am not judging. I hope she was saved. Delusion can be a calvary in itself! Thanks for your comments. You are very right about the necessity of humility, for as one Saint has aptly put it "Humility is the mother of all the virtues". Yet the statement "Accept; the fate of humanity hinges upon your 'fiat'" did not come from Marie-Paule Giguere herself, but from the Lord purportedly speaking to her, however she did write it in her autobiography, apparently out of obedience to God and/or her spiritual director. Nevertheless, this is really just one of many astounding things attributed to her person---for as I have written in Part 2 of this article, those in her Community believe her to be the 5th person of the Quinternity, the Coredemptrix and the Lady of All Peoples. Obviously these are incredibly extraordinary claims, and I would add that thus far they are founded only upon human testimony. And as I wrote in Part 2 of this article, what is needed at this point is a extraordinary and miraculous confirmation from God akin to something as miraculous such as the Resurrection of Jesus. Otherwise this Community, cutoff from the vine of the Christs church through the 2007 excommunication, will surely whither and die. Thanks again Luis for your comment. I can respect the fact that you knew this woman personally, and your deep respect for her is evident in your articles and in your comments... but it's clear she was a false prophet. 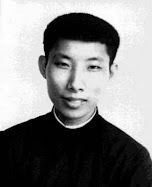 The bizarre messages that refer to a "Quinternity", hint of reincarnation, and emphasize the self-importance of this alleged visionary are clearly contrary to the Bible and Church teachings, and are clear warning signs of a person who is either willfully deceitful, delusional, or deceived by evil spirits. Apparently, the Church also agreed that this was all caused by at least one of the above because it condemned her private revelations and excommunicated her and her followers for their disobedience. There's just something about this entire situation that doesn't sit well. When compared to many of the other mystics you wrote about on your blog, this woman's behavior and her revelations are not on the same level. It shouldn't matter how many predictions Mrs. Marie-Paule made that came true. Even the devil and his legions can work signs and wonders, too. The bottomline is the Church has already ruled negatively on this whole affair. That's enough for me (or anyone else) to stay clear from anything pertaining to Marie-Paule Giguere's supposed revelations from heaven. With all that said, I pray her soul was reconciled with God and that she's resting in God's peace. And may her followers find their way back home to the solid teachings of the Holy Catholic Church. "Feminine Being-Person" called the "Immaculate"? A reincarnation of the Virgin Mary, aka the "Immaculate"? The "Quinternity"? The "Church of John"? People actually left the Catholic Church over these outlandish claims? UNBELIEVABLE. This movement has all the characteristics of a religious sect or cult. Please read this from Galatians 1:8: "But though we, or an angel from heaven, preach any other gospel unto you than that which we have preached unto you, let him be accursed." Dear Glenn, I love your website in fact its one of my favorite websites. It is very clear and even the Catholic church has announced it that these messages are contrary to catholic faith and doctrine and they lead people away from the true church.No true Mystic has ever claimed something as lofty as this. Even Catherine of Sienna and Our beloved Gemma Galgani always 100% submitted themselves to the church it is so obvious that these messages are not from God kindly request you as one you has read your website for years to remove this article if possible and also the little bit of attachment to her. Have enjoyed your articles over the past couple of years Glenn but the fact you were a follower of this "cult" makes me really question your judgement. This lady was all about gaining attention for herself as so many of these so called seers are. Maybe there is an element of loneliness or mental illness but unfortunately there are so many gullible people out there who prefer to put their trust in so called signs and messages rather than the doctrine of the Church, that these people will always have an audience. My own father in law has handed over thousands to a so called visionary here in Ireland while she lives in a luxury home. 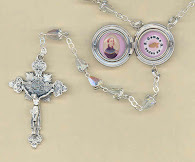 Think St Bernadette or St Gemma - humble, hidden and always obedient to the Church. This is a true mystic. Thank you for your comments. 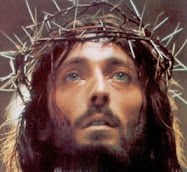 I understand very well your position, and I agree with you in that one must be obedient to the judgments of the Church. This is exactly why back in 2007 I left the Community that Marie-Paule Giguere founded. In fact, I wrote an article about the neceessity of obedience to the judgements of the Chruch, and I really do live by the Church's guidelines in this matter. We must remember though, that even if the Church issues a negative judgement concerning a particular visionary, everyone is still free to have their own personal opinion, but ALL have to submit to the judgement of the Church with practical obedience. What this means is that while one is still free to disagree (the Church/Bishop is not infallible in this matter), but one does owe the Church/local Bishop practical obedience, that is, one may not act against the decree. For example, one cannot promote or propagate in any way a visionary/private revelation that the Bishop has judged negatively, or continue to publicly regard it as authentic. 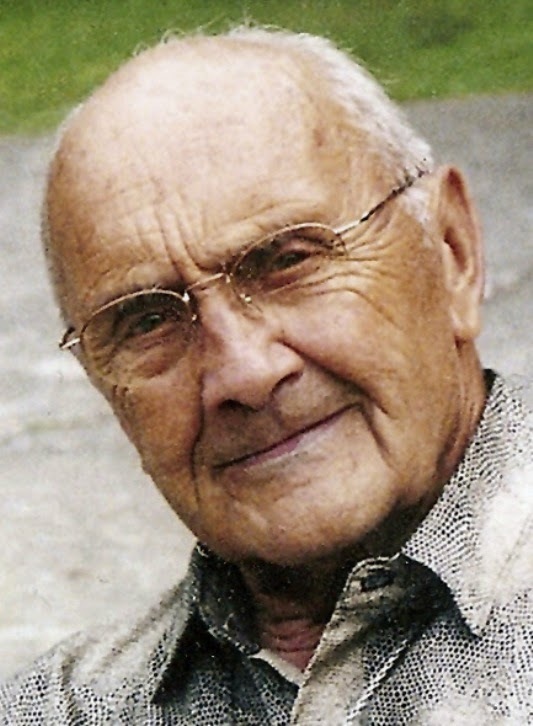 As for myself, while I have obeyed the judgement of the Church with practical obedience, and I have not supported or promoted the Commuity in any way since 2007, privately I am quite free to have my own opinion on the matter, and my personal opinion is simply that I am neutral, reserving judgement until God or time has shown the truth in the matter, one way or another. Thanks again for your comments and for sharing your perspective. This is why the Church takes time to approve of movements or alleged revelations. Something may seem good in the beginning but eventually rears its ugly head in the end. I'm sad for these people but discernment and obedience needs to be reinforced. This post is disappointing. I agree with Discerning Catholic and others who are critical of this false mystic. She and her movement should be compared to other breakaway Catholic cult leaders (Mary Ann Van Hoof of Necedah, Clemente Dominguez of the Palmarian Catholic Church, etc. ), not compared to genuine mystics such as St. Gemma Galgani, Bl. 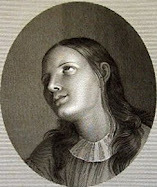 Marguerite Bays, Bl. Maria Bolognesi, etc. I don't need the Church to provide guidance on this. All one needs is common sense solidly grounded on Scriptures and Church Teaching. These messages speak for themselves - they are absurb and have lead people astray! And just looking at the alleged seer's photos makes me uncomfortable. There's something dark in her eyes. And what's up with the fancy gown and the crown? St. Gemma or any true mystic-founder of religious movements (like Marthe Robin) would never seek attention in that way. Come Holy Spirit and enlighten these poor misguided souls. Bring these lost sheep back home into the Church. I was given Marie-Paule's first book to read not knowing anything about her or her movement. The book left me very uneasy. She talked too much about how she suffered at the hands of her scoundrel husband and she came across always as the victim; so very different from the biographies I have read of the saints. There was no humility in her whatsoever. The icing on the cake was when she compared herself to the Blessed Mother. She was most definitely a false prophet leading her followers away from the Catholic Church. I am wary when people post public comments anonymously. Especially those of the denigrating sort. It is evident that this is done with partial knowledge, at best. I knew Marie- Paule for almost 40 years, as well as have read her personal writings (including all her volumes several times). She is (was) very far from touting her own horn. Reading excerpts out of context leads one (& others) to confusion. Negative comments are usually fear based, especially when we come across something new and unprecedented. Although this mystic is more along the lines of Joan of Arc (woman leading an army who hears voices). We are dealing with a new mystery here. And not just of a mystic but one that deals with a woman. A woman equal to the Redeemer. That will put off a lot of people whose hearts and minds are not open. Glenn you are very wise indeed not to condemn. Having said that, you must realize that old boy institutions need to fall away...and give way to true spirituality. My late brother-in-law died as a member of this group. My sister-in-law is still a member and lives in Lac Etchemin. She gifted me with the English translation of the set of books many years ago and many of the pamphlets, pictures, souvenirs and publications about this group. I have been to Spiri-maria once. I was not even 1/3 of the way through the first book when I was struck by a feeling of disbelief that anyone could actually become a follower of this woman. All she seemed to do was complain about how rough her life was and how many crosses she had to bear and yet it seemed to me that others were the ones taking on the responsibility for raising her children and providing for her. My own mother had a far tougher life and worked her way through it without imagining that everyone was out to get her and expecting everyone else to bail her out. She most certainly did not imagine herself to be a co-redemptrix. I felt pity for Marie-Paule, the more I read, as to me she was afflicted with some form of mental illness. Everything was all about her and how everyone was out to get her. It struck me that the books were filled with one complaint after another and constant comments about the presence of the devil in every "calamity" that befell her or her group. Instead of the loss of luggage and such being viewed as an everyday occurrence with air travel, to her it was the workings of the devil against the group. Still I read on hoping to understand why my in-laws would follow her. I kept thinking that maybe something was lost in this English translation which appeared not to be a very professional translation. Her predictions like that of everyone being dressed in white at her funeral were rather self-serving since it became one of the customs of the group to dress in this manner for certain occasions. Indeed, to me, all of her "costuming predictions" and apparitions for the group struck me then and now as rather silly. Hard to believe that these things would be decreed from heaven. In fact, the whole design of the chapel at Spiri-maria rather than being an atmosphere of reverence is instead, in my opinion - tacky what with the "Serta Sleeper" sheep etc. I did find that the followers themselves were very good people as is often the case with people who get conned or gradually brainwashed into joining a cult. However, reading the books - I had a sense of evil coming through - a sense of a big con. The answer to everything seems to be that it was predicted that many would be against her. Well yes, of course they would be based on how convoluted her proclamations are. My saddest regret though, is that my inlaws cut themselves off from their families and friends to leave their home and move to Lac Etchemin. I al also saddened that they were excommunicated from the Roman Catholic church. I am saddened that my sister-in-law who is still involved in this cult has some feelings of paranoia as a result of a couple of members of this cult who it appears are spying on her and that she is afraid to discuss this. We have no idea of why she feels this is the case. However, this too has the markings of cult behaviour. Your written comment: "..For her followers, her passing from this life has great spiritual significance--much more than just the passing of a saint;". Do you not think it is a little unrealistic and premature to pass her off as a saint? I cannot explain every event that led me to eventually believe that "L'Armee de Marie" was a cult-impostor mission; I have too many examples. However, in fairness, I do believe that this woman was a good woman but somehow, something of a very dark nature decided to lay hold on her and to make mockery of Our Lady through her. Yes, she suffered, but I would not call her a Saint. Armande Martine, you have given me the impression that you are judging people because they post anonymously. There could be a thousand reasons why people post anonymously, but I can assure you, mine is not that of deception; that is your own presumption; it doesn't necessarily denote that it is fear-based. I came to know of Marie-Paul through my mother, who is still in this cult. I was lenient in my former post, but now I am stipulating it at full throttle, it is a CULT. Again, to write all the details that led me to this conclusion, you probably would not even believe the events I would share. It is your prerogative to believe that this mystery is unique, but it is not unique to me. 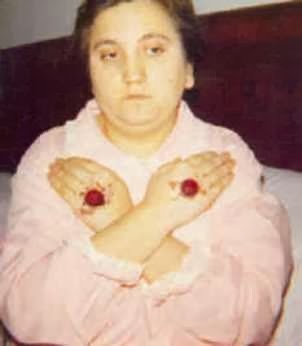 A woman who claims that she is the Blessed Virgin Mary, is possessed, liken to that of a channeler who loses himself/herself to the persistence of dimensional entities pushing their way through. Have you ever seen channelers and how they lose all sight of their minds and then proclaim they are the entity that is using them? I have, and it was not a pleasant experience. I am saying that I have no doubt that at one point in time that Marie-Paule had sincere intentions on presenting Our Lady, but somewhere along the way something deviated began to happen, like a black thread being woven into the fabric. I, personally, experienced the type of forces that were at this woman in the background. My reason for remaining "anonymous" was at the time that these forces were roaming about, they were searching and cherry-picking certain women to represent their plans ... I was one of them. "They" wanted me to represent the title of "Our Lady of All Nations". I said, "No." They made me suffer events just to keep me imprisoned to my mother's programmed state of mind. I was never liberated until I received a formal exorcism from the Roman Catholic Church. For two years, I was liberated - until, my mother returned into my life, and then all hell commenced again. These "extraterrestrials" would not let go of me. There, you have your mystery solved. Beware of impostors of Light. You asked "..For her followers, her passing from this life has great spiritual significance--much more than just the passing of a saint;"
---Do you not think it is a little unrealistic and premature to pass her off as a saint? Good point---but for sure it is her followers (not myself) who have declared her a "saint"---in fact, this "declaration" was done so in a formal ceremony at Spiri-Maria a few years back. Thanks for sharing a bit of your spiritual journey here. As for my take on the Army of Mary, since I left the movement back almost a decade ago just prior to the official Excommunication, I personally do not spend much time anymore contemplating matters surrounding it. I do however have some family members who are still active members. I think that it is very likely that through the Excommunication from the Church they were cut off from the Vine (as Jesus speaks of John 15:6) and the Community will therefore very likely eventually wither and die off, as we have already seen by its significantly reduced membership over recent years. In summary, the Army of Mary and its associated Communities have placed the private revelations of a purported mystic above the judgement and discernment of the Church---and so essentially, as I see it, through their beliefs concerning Marie-Paule and the "Quinternity" etc. they have pitted Jesus/Mary against His (Jesus) own Church. And from the Catholic Church's perspective, through the Excommunication they (the current members) are no longer in the Church. Now, as for myself, I can only say that I personally would not risk the salvation of my soul over a private revelation, by placing myself outside of the Barque of Peter, that is, the Church that Jesus Himself founded, however appealing and spiritually lofty such private revelations might appear to be. -Just my .02 cents, for whatever it is worth. Hello Glen, I'm responding to your two posts in return. I would like to give my name, but I know for a fact many members of "L'Armee de Marie" would recognize me immediately via my mother, and I will not set myself to this. I don't like complaining, but I have suffered events that I wish upon no one. Where the details of my suffering are concerned, that is between the Christ Jesus, the real Blessed Virgin Mary and myself. In fairness to Marie-Paule, the most I will say is that I believe this mystic was played with. She herself became a victim, despite her good intentions. I cannot denounce her as being "evil", no. But I will say that these vicious forces of "mind control" throughout the province of Quebec has taken its root. 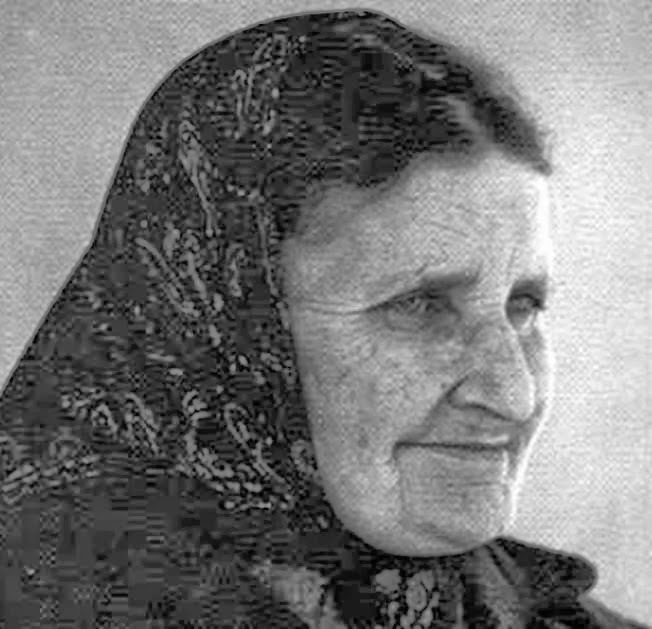 My mother, now a very elderly woman has always had a deep faith, and I have explained to her that her faith would still be there even if she were not in L'Armee de Marie, but she is convinced (programmed) that Marie-Paule is a Saint. No, she is a victim, as many people are becoming victims. I have seen events unfolding that I cannot expect people to believe; but these events did happen, even when my mother was there to witness her child suffering these events, she was still "programmed" to defend this woman. I kept telling her, "Please, do you not see what is happening here? 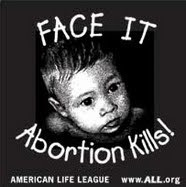 Do you not see your own child being affected so heavily? Please, do not continue to run to this group, because all of this evil came upon me when you consecrated your children to that group." She would think that the reason her child was being affected was because of the "devil" attacking her children because of her faith in L'Armee de Marie, and this would only increase her determination. It was so twisted. And she would just ignore everything. I came close to my death - for that fact, I had an NDE, the forces upon me were that vicious because I refused to acknowledge this group, and they knew that I was determined to fight them away from my mother. I layed there on a stretcher in a hospital, literally dying, and praying. Something happened. I saw a swirl, and I technically died. I woke up in a hospital room the next day. For a while I had peace but the moment my mother entered into the hospital room, it started again. It was too much. Even though my mother was praying, she had made her pact with them and she could not bring herself to accept the mistake she had done. From the hospital, I landed in the hands of priests connected to the Vatican, where I received the exorcism. One of the priests went to see a true mystic in a convent, that could receive Jesus; far from being a charlatan and would not receive people that were only curious. When the exorcist asked to see her, she allowed him in. The first thing she started doing was to cry, and she cried, and cried; it was Jesus crying through her. Then she began speaking in Aramaic. This nun never once said that she was Jesus, never. She was just a messenger. The reason why the exorcist went to see her was to determine if my problem was of a psychiatric nature. After the priest learned that it was not, he began the exorcism, to expel what came upon me by this L'Armee de Marie. I could write a book on this, but I will not. There were many red flags with what my mother would explain. When she told me that Marie-Paule had asked the members to "look at her picture, and whatever they would ask , it would be granted," this to me was a form of divination. Our real Lady of the Christ would NEVER ask anyone to do such a thing. Never. There were just too many red flags. Saying that she was the Blessed Virgin, asking people to depend on her image, and giving pictures to people as to where they stood before the Christ. This is divination, and of course, my picture was that I was far away in the shadows away from the Christ Jesus, but my mother's picture was that she would see the face of Jesus. I had never asked for this, but my mother did - for her children, she said. She loved us so much as children, that she did not realize what she was setting us to. It was insane, how this evil worked. The list of "red flags" just goes on, always complaining about what was happening which is a sign of "mind control". I found my freedom at Notre Dame de Lourdes - thank you St. Bernadette. The irony is that I don't believe in charismatic forces either; it's like a wishy-washy New Age version of the Christ and His Mother. I do not believe in the charismatic frequency, because it is beguiling. My mother's faith is strong, but at least she now prays to Our Lady of Lourdes. But despite this, her mind is still torn and connected to "L'Armee de Marie". We need to be so careful about the impostors of Light, and the mind controllers having fun with the Roman Catholic Church these days, because it is so obvious that they want to destroy our faith in the Christ Jesus. This spiritual/mind war has become more intense. May all find the courage, the stamina, the faith which they need. Kindly cite me in print where Marie-Paule has said she is the Blessed Virgin Mary. There has been no such assertion on her part. Once again, many of her writings have been taken out of context. One other claim which at a given time will be revealed to the world, Marie-Paule Giguere is the Lady of All Peoples and not the Lady of All Nations. Why are so many letters being written anonymously? Are all of you afraid to bear your names as witnesses to the truth? While I am not the original commenter that you are questioning, I agree that it has not been stated nor do the followers of Marie-Paule (Mother Paul-Marie) believe that she was/is the "Blessed Virgin Mary". However, on numerous occasions it is publicly stated by Mark Bosquart and published in the "Le Royuaume", along with being a key belief of the religious community comprising her followers that she is specifically the "Daughter of God", being a Divine person in God as the "Fourth person of the Quinternity". So yes, while you are correct that she is not believed or stated to be the Blessed Virgin Mary by her followers, however in what is actually an even infinitely greater statement is that she is formally believed by her followers to be one of the five Persons in God. 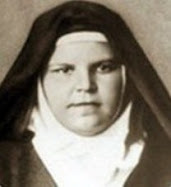 It is very notable how Marie-Paule Giguere (Mother Paul-Marie) was believed to be part of some sort of "Quinternity" with her supposedly being a divine "Daughter of God", the 4th person of this purported "Quinternity." What makes this belief even more notable is that this closely resembles the beliefs of the 'Panacea Society' of the early to mid-1900's England who followed a woman named Mabel Barltrop, known to the believers as "Octavia" who was proclaimed to be the "Daughter of God." She was a widow of a priest in the Church of England, whom she later said was actually "Jesus". There was God the Father, with Jesus the Son, God the Mother (Virgin Mary? ), and Octavia the Daughter. Numerous single and widowed woman in England soon joined her forming a Community that grew to include seventy residents, thousands of followers, and an international healing ministry reaching 130,000 people. 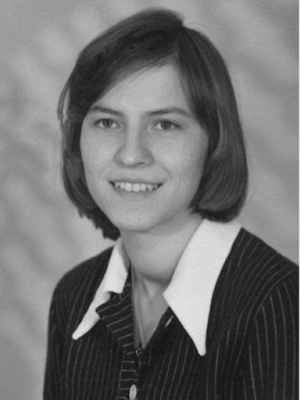 In short, many parts of her story parallels that of Marie-Paule Giguere. 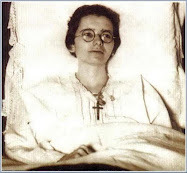 After her unforeseen death her followers to this day continue to be adamant in their belief that she is the daughter of God, even though as one of there many strange beliefs that she herself taught was that she and her followers would never undergo a physical death, hence the "surprise" of her unforeseen passing in 1934. Those interested in this subject may read the book "Octavia, Daughter of God: The Story of a Female Messiah and Her Followers" by Dr. Jane Shaw, along with perhaps doing a "Google" search of Mabel Barltrop or the Panacea Society , which brings forth a good deal of info. There have been so many visionaries, channelers and mystics that, true, it is hard to claim that they are true or for real. Yet, I also feel there are reasons so many mystics do take form, and some have similarities to make one think perhaps there is "something" there? Did Mother Paul-Marie think she was the Daughter from birth? Or through her messages, she was able to channel the essence of the daughter through her? Mary's many appearances have many thinking she is NOT only Mary, perhaps She was the Vessel of the Mother God coming to earth. Like claiming Her to be Sophia-Maria, and the like. Thus, the original prayer stating "Who once was Mary" would be correct. we see through Gnostic Scriptures the ideals of God in the feminine aspect. Hence, while i look forward to reading the books, I wouldn't totally write her off, either. The Church, in fear of anything out of their context, quickly excommunicates just to get them off their shoulders. Thank you for this website!